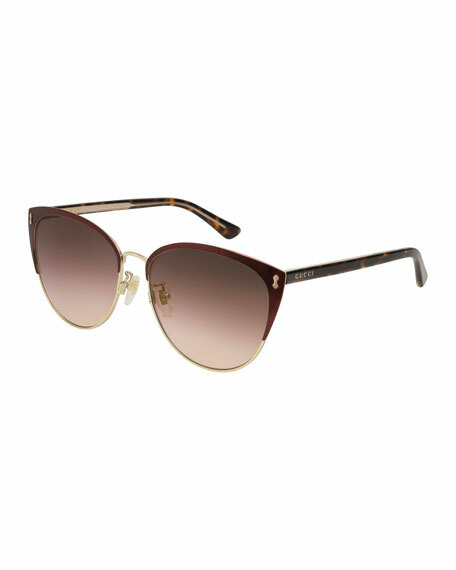 Gucci semi-rimless cat-eye sunglasses in acetate with metal trim. Studs at peaked frame front. For in-store inquiries, use sku #2339226.